"If something is worth doing, it is worth doing well!" Since its inception in 2004, the Company has evolved as a one-stop-shop service provider, offering a range of services to its Clients taking the project from start to finish – ranging from assisting them during pre-development stages to feasibility analysis, pre-construction and construction & installation management services to all the way to a successful close out. In addition, Masters also specializes in Cost Consultancy and Design Development (Architectural as well as MEP) through their in-house team. Besides, Masters also offers Programme & Process Review Services and Quality, Cost & Safety Audit/ Monitoring Services and is well equipped to offer range of Development solutions (like turnkey, design & build, construction management at risk) to its Clients. At Masters, we understand that each industry-whether it is Hospitality, Commercial, Residential or any other, has its own needs and benchmarks and hence offer solutions keeping in mind both the Client’s requirement and the industry norms. Our teams ensure that budget overruns, delays in scheduling or design errors are avoided and we take pride in delivering consistent results that help our clients achieve their objectives. Following best practices, the Company is ISO 9001:2008 certified and working closely with its clients as ‘Client’s Representatives’ adhering to the strictest (domestic and international) industry and quality standards while ensuring that project is delivered in time while keeping the quality high and cost judicious. The Company is run by a group of highly trained Project Management professionals having experience of working on a wide range of projects spanning both the Indian market as well as internationally. With a PAN India presence and a workforce of over 155 professionals from across various disciplines such as engineering, architecture, design and management, Masters abides by the core values of Honesty, Integrity and Transparency and aims to deliver world-class management consultancy and advisory services to its Clients. Headquartered in Mumbai, India, the company has footprints in almost all parts of the country with offices in all 4 zones. Through these offices we run pan India operations and are capable of handling projects of any size and nature in any corner of the country and abroad. Our experience and skills coupled with our corporate association with international firms, consultants and professionals makes Masters the perfect partners and representatives for your projects. Masters has been involved in various capacities (as development advisor/ designer/ PMC/ cost manager/ programme & process reviewer etc.) 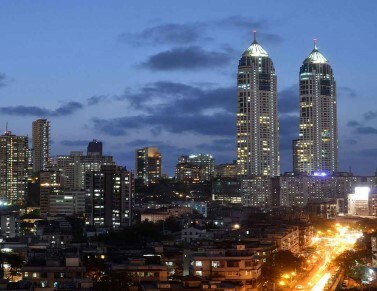 for construction projects across asset classes, such as townships, residential developments, high-rise buildings, IT parks, hotels, shopping malls, commercial spaces and factories with a cumulative value of over INR 160 billion over 130 million sq. ft. area..